Flintrock Farm, a full service equestrian facility, is located in the southwestern corner of Rockingham County. A short drive from all the major Triad cities, we are home to 100 plus horses with ample room to roam. Flintrock has served the Triad communities for over 40 years, offering a safe, beautiful, and friendly atmosphere for all types of riding disciplines. 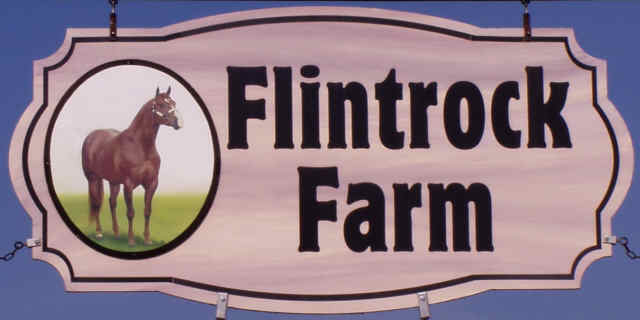 Flintrock Farm is one of the largest year round horse facility in North Carolina. The farm offers two outdoor rings and an indoor ring, one round pen and large pastures as well as numerous opportunities for scenic views and trail riding. Flintrock Farm does some tack repair work, has a blacksmith shop and occasionally will host a children's birthday party. Flintrock is host to the North Carolina Horse Shoeing Contest. Flintrock Farm sponsors the Flintrock 4-H Club which participates in a variety of activities and adopts a stretch of Highway 158 to keep it "litter free". For further information, please visit the Flintrock 4-H page at www.flintrock4h.org. Flintrock Farm has placed a conservation easement with Piedmont Land Conservancy on a significant portion of the farm. This easement permanently ensures that future generations will enjoy the protection of the land, wildlife and water quality flowing through Troublesome Creek.